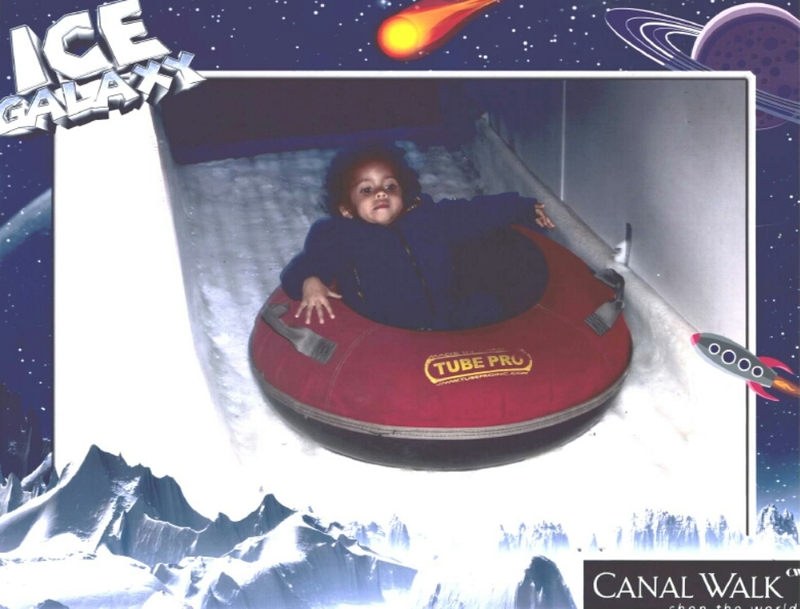 Last night the Thomas gang was invited to attend the opening of the Ice Galaxy at Canal Walk. This is something Danny has been wanting to do for so long, but we’ve never really found the time or energy to take him (yes, bad parents). And since the boys have been more challenging of late we decided not to mention anything to them about this, if their behaviour was great over the last week then we would attend but if not I would happily have declined. Surprise surprise and they were relatively well behaved so off we went. Danny walked in and completely flipped out, he was beyond excited to be there and without the hustle and bustle of other hordes of kids. Score for us. Josh didn’t quite know what was happening and fairly blaze about the event until he discovered the candy station, the rest well… I fought with him till 10pm to get him to sleep. The Ice Galaxy boasts 3 slides, one for the pint sized pikkanini’s, one medium slide and a 90m wet your pants slide (well it would have been for me). 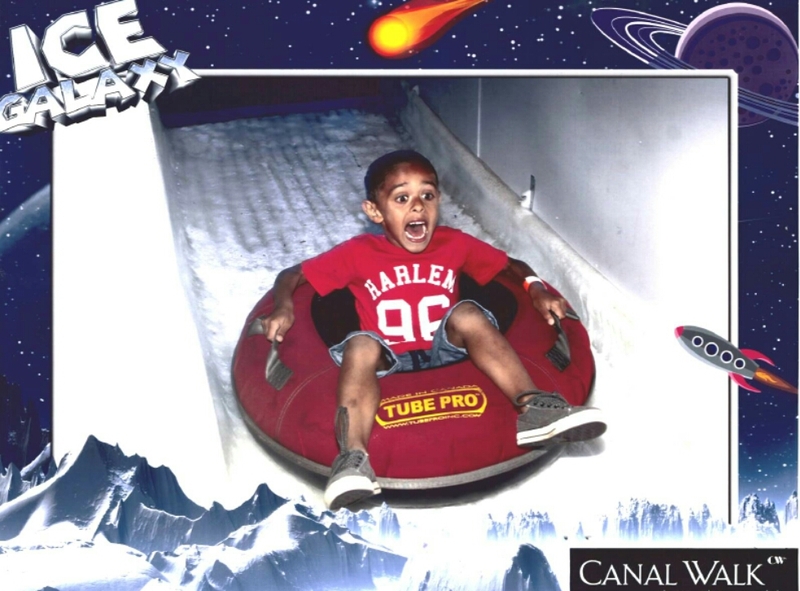 My kids are generally like being comfortable and do not readily do anything adventurous, they’re cautious in all aspects and that meant that Danny would not set foot on the bigger slides. He was more than content to slide the little slide and play in the ice for the evening. The staff were awesome, they kept the kids entertained, built ice castles with them and generally kept them occupied for the majority of the night. As far as the adults sliding, my dear Carl braved the big slide and quite enjoyed it (he actually messaged me during the day to ask if he can also slide, I love that he still has his playful boy side). All in all the night was a success, the boys had FUN, we are the ultimate HERO’s in our kids eyes and we will DEFINITELY be back. 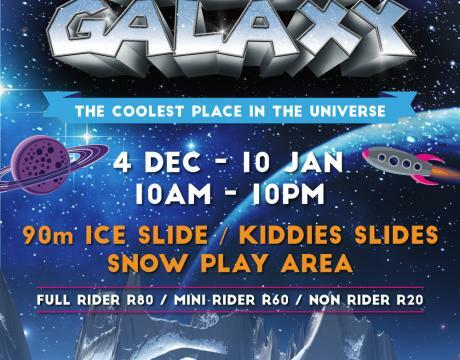 So if you’re looking for something to do over the holidays, do pop on over to Canal Walk and visit the Ice Galaxy and have a slide. I know the kids will have a blast.